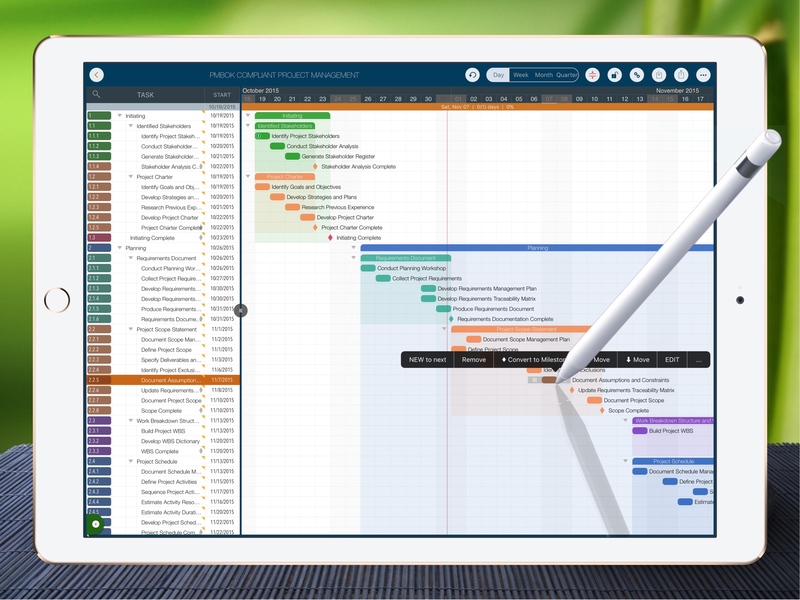 Project management with natural gestures on Gantt chart, synchronizing and sharing projects across multiple devices and across teams, And supports Microsoft project plan integration. 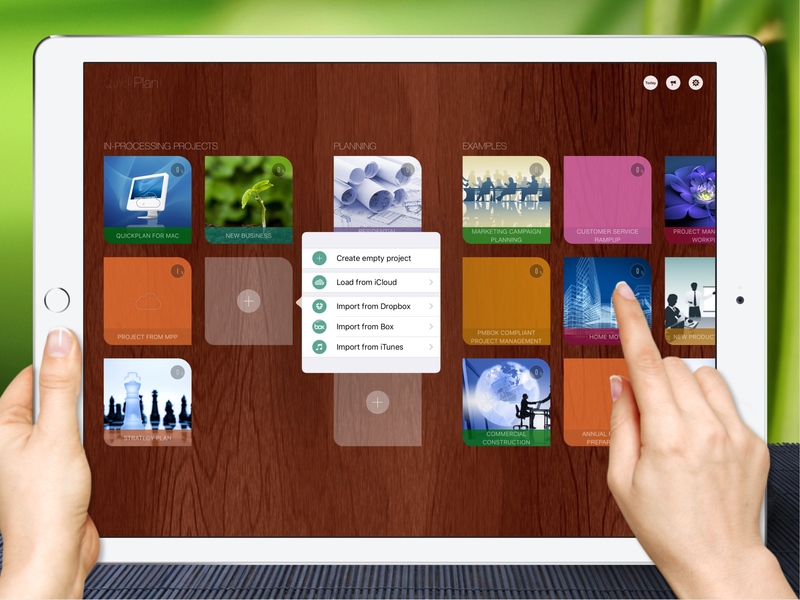 QuickPlan Pro, is THE easy to use project planning app for the iPad. 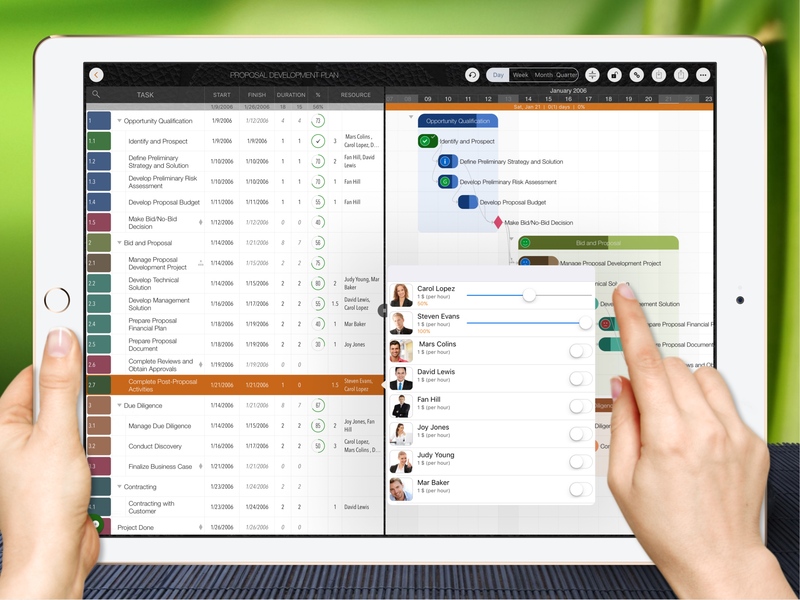 NATURAL GESTURE use makes project maintenance easier, faster and more efficient than ever before. 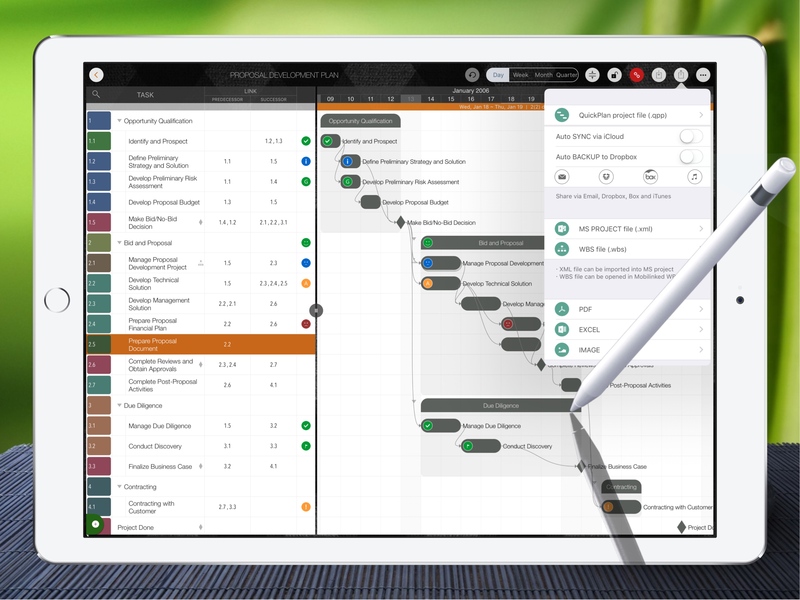 Visualize, maintain and simplify projects on Gantt charts, lay out tasks, arrange your project calendar and resources, track task status - all at your fingertips with a minimum of effort and learning. QuickPlan supports to export projects as Image, Excel, PDF, Microsoft project, WBS files, AND to import projects from Microsoft project, Mobilinked WBS, Mind map and Excel files. 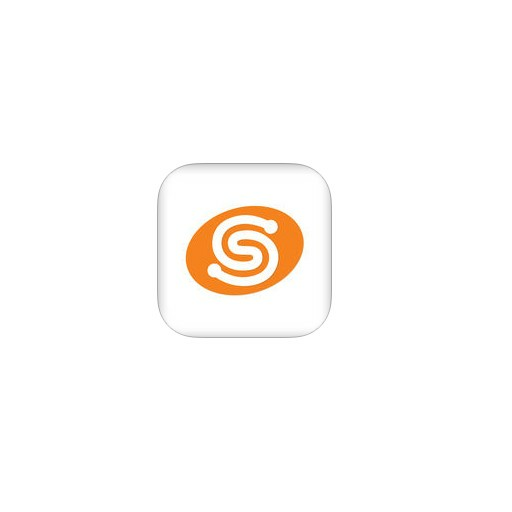 Projects can be synchronized projects across multiple devices via iCloud automatically, and can be shared across teams and devices via AirDrop, Email, Dropbox, Box and iTunes. 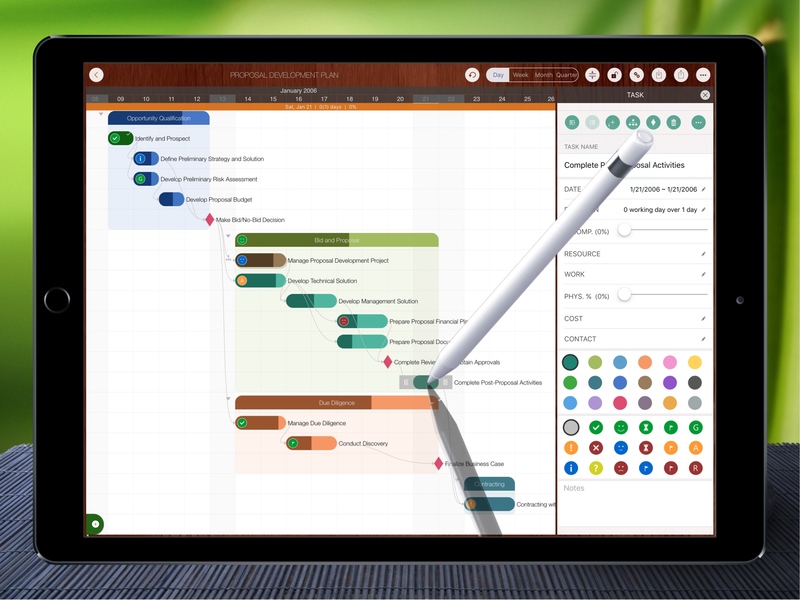 QuickPlan Pro fine-tunes the best features of Microsoft Project Plan and re-purposes them for the iPad - without the complexity - bringing INTUITIVE and discoverable project maintenance to users of all experience levels. 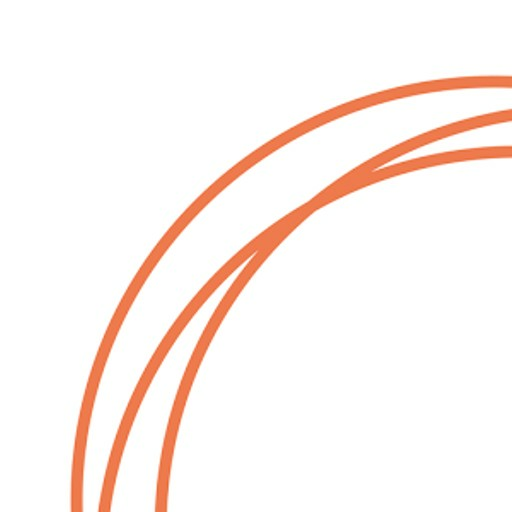 QuickPlan simplifies the complexity of project planning, which sets ease as the primary goal in organizing your professional projects, plans, efforts, goals and life. 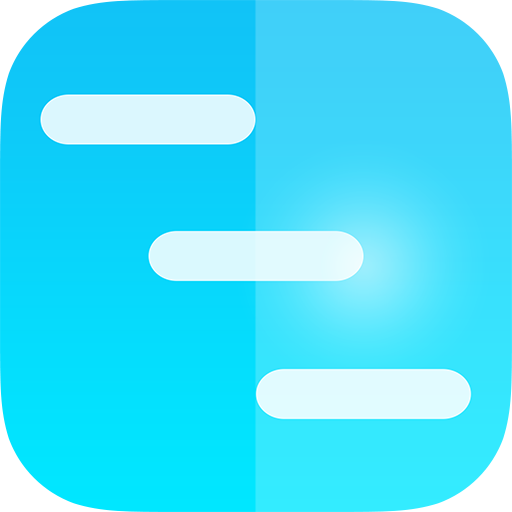 The best project planning app for the iPad - great for the work of teams, individuals and management, project management, task and action assignment, proposals and ideas.